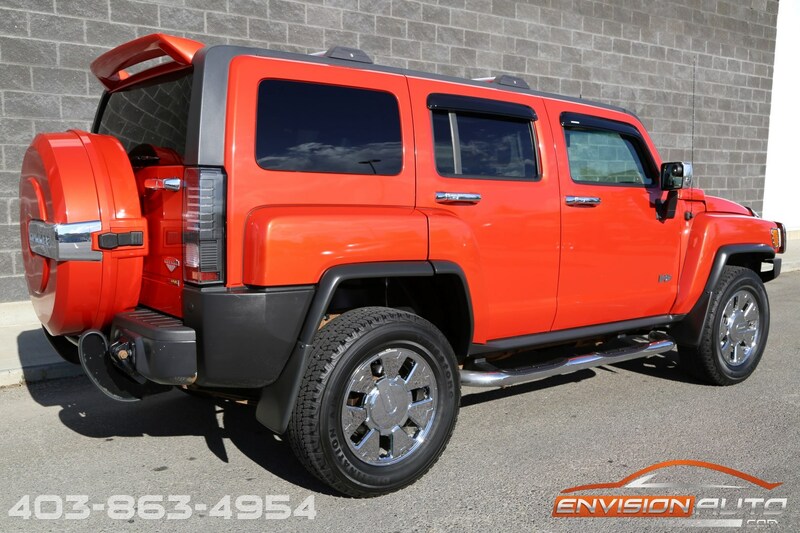 Color : – Solar Flare Orange Metallic Ext w/ Black Leather Int. 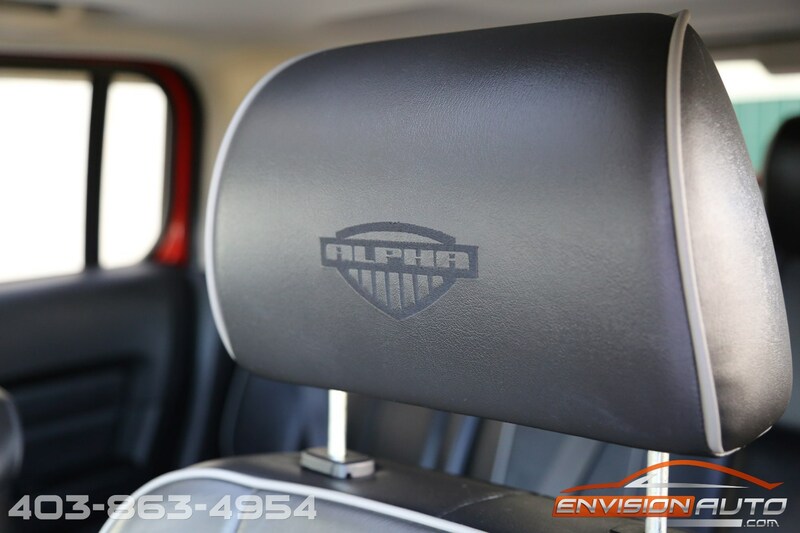 More Details : – ALPHA EDITION 5.3L V8 H3 SUV – H3X LUXURY PACKAGE – OFFROAD PACKAGE – CHROME EXTERIOR APPEARANCE PACKAGE! 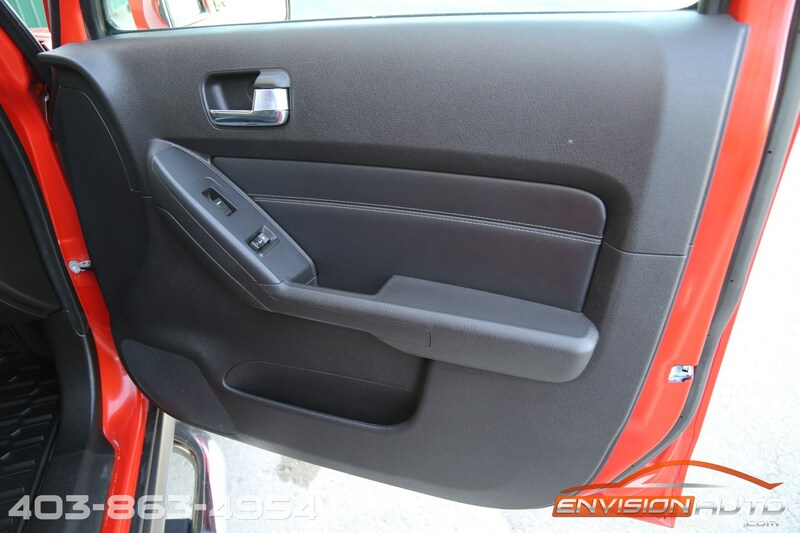 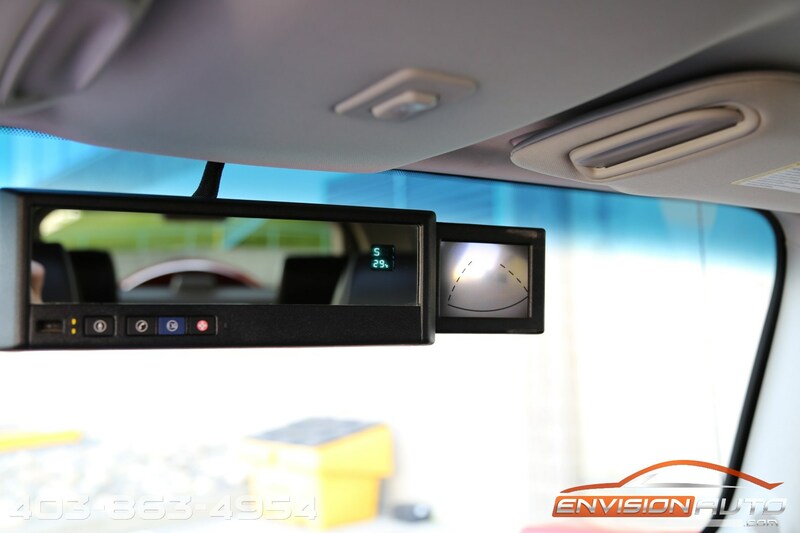 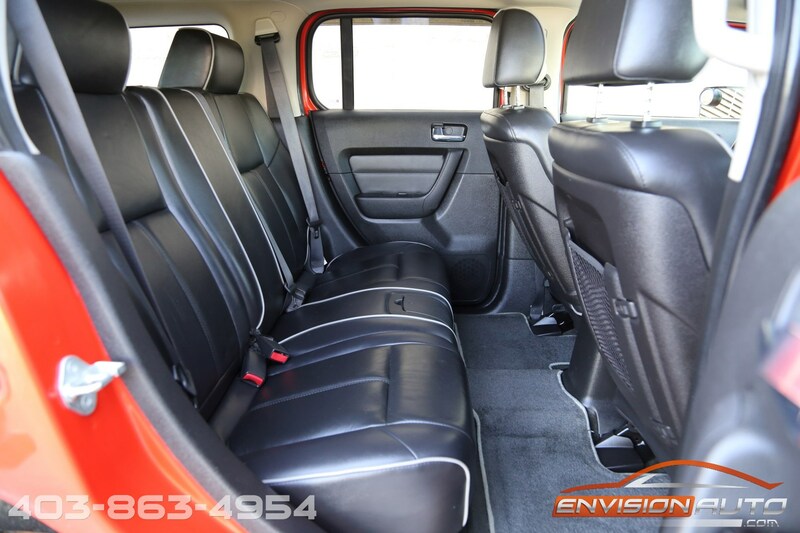 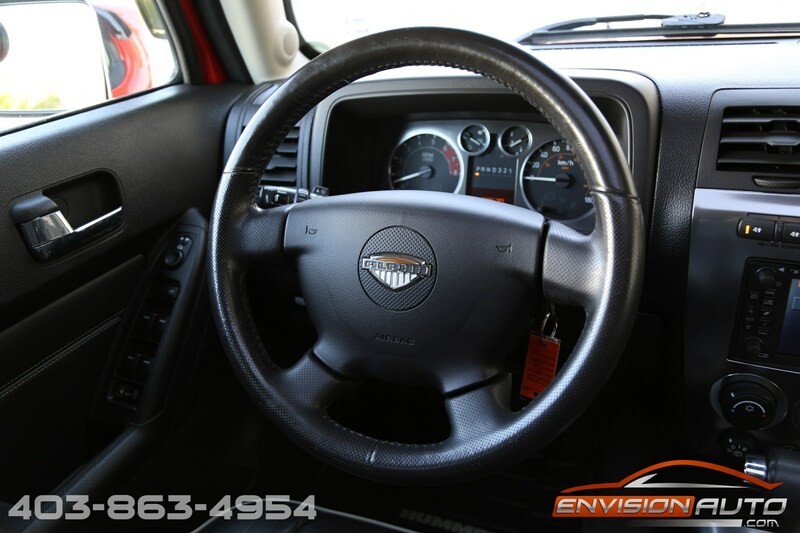 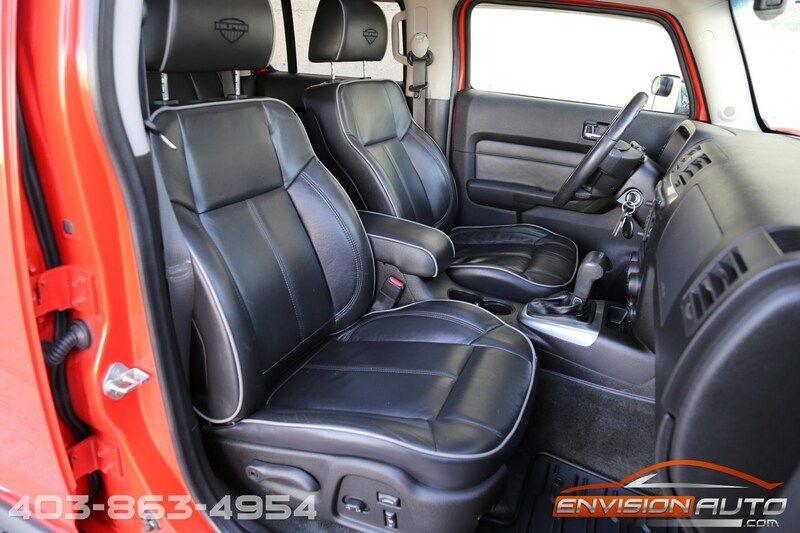 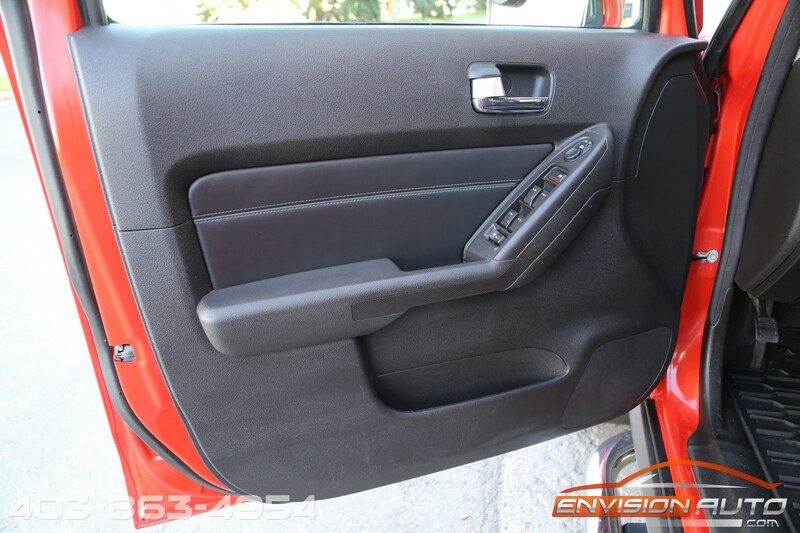 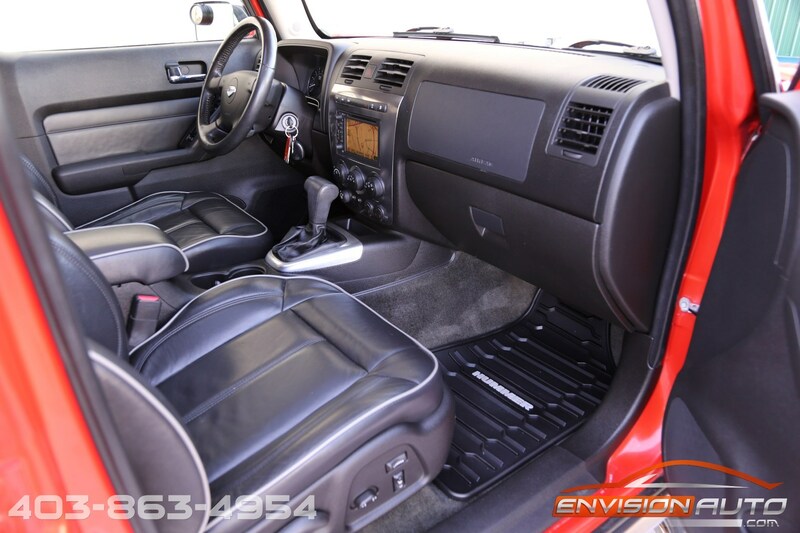 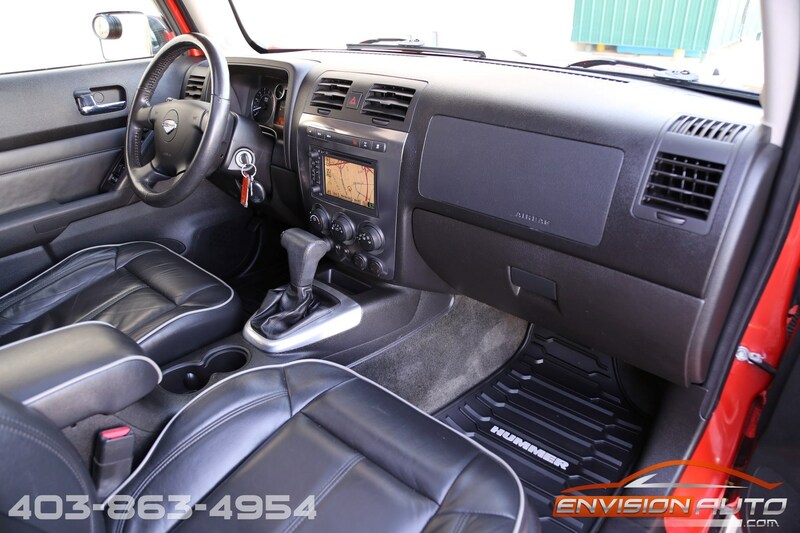 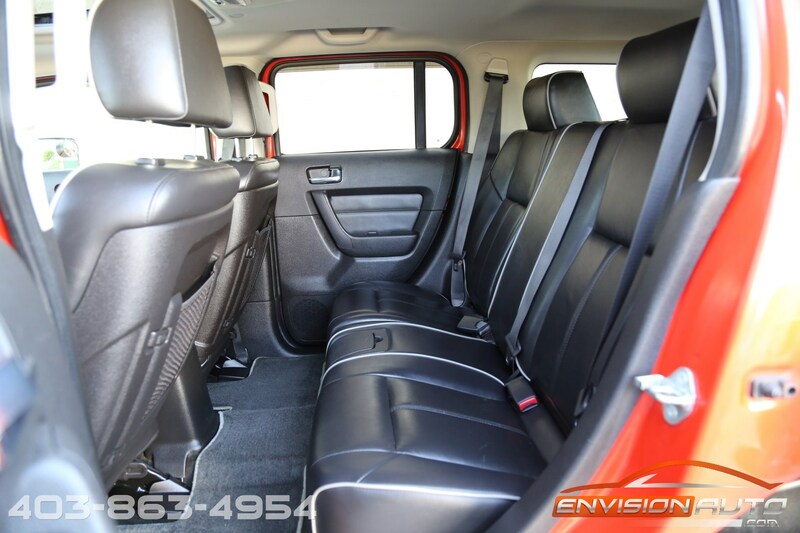 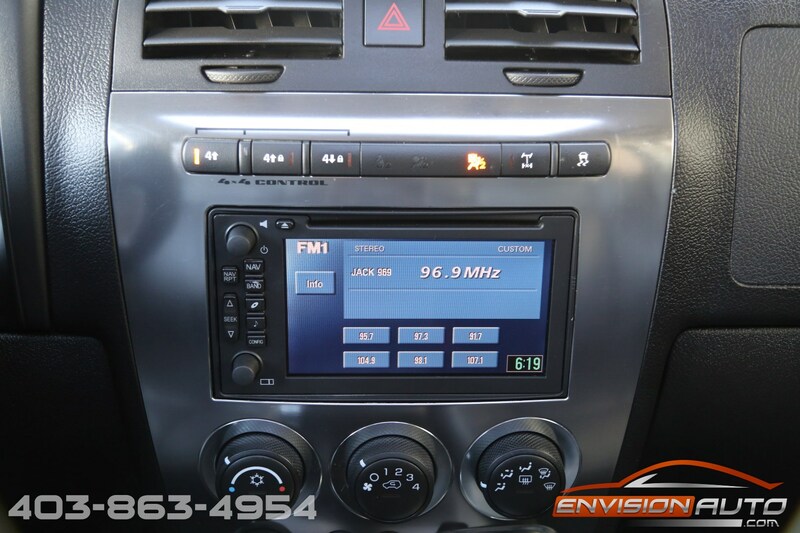 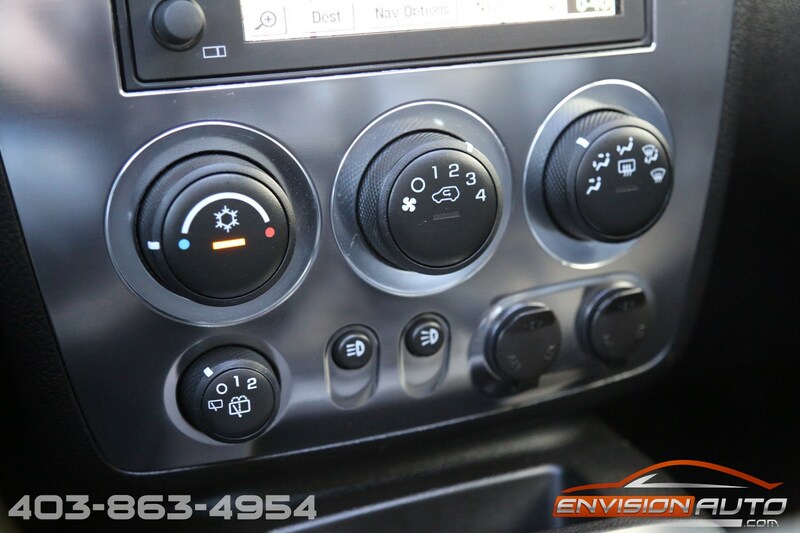 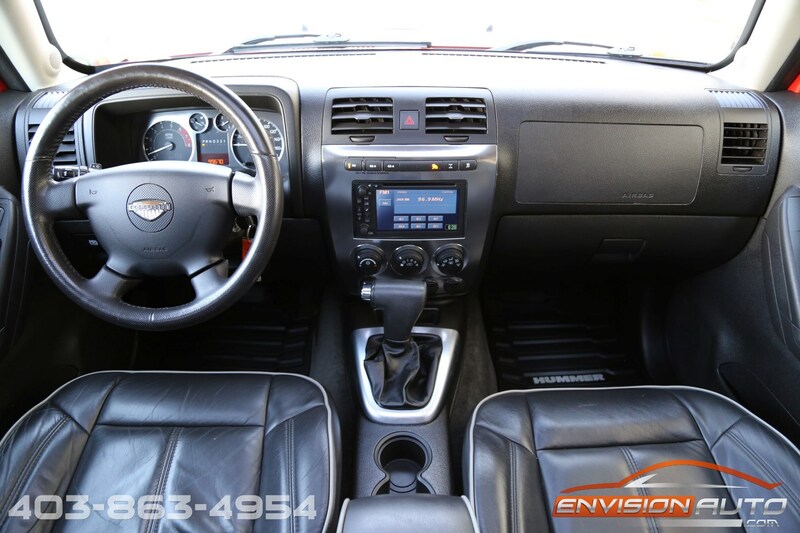 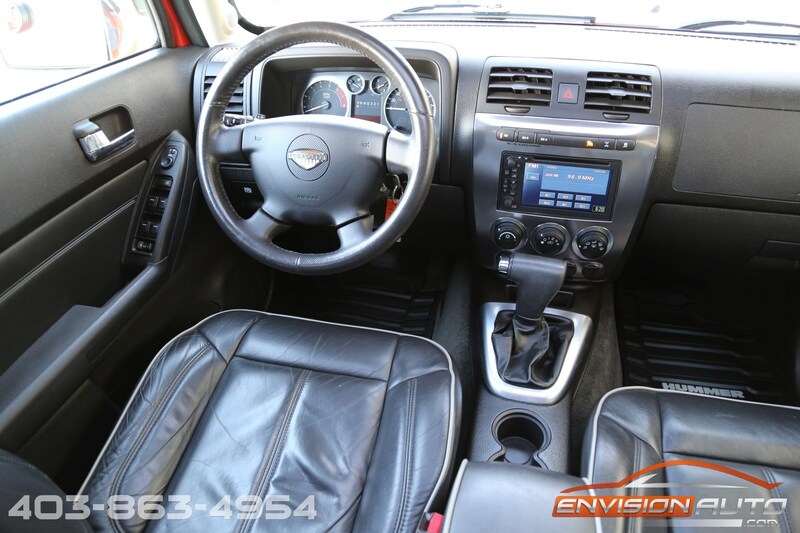 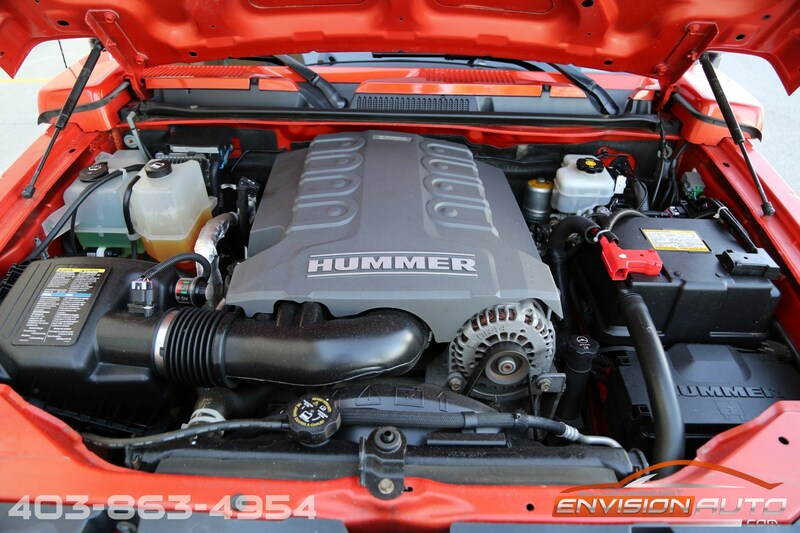 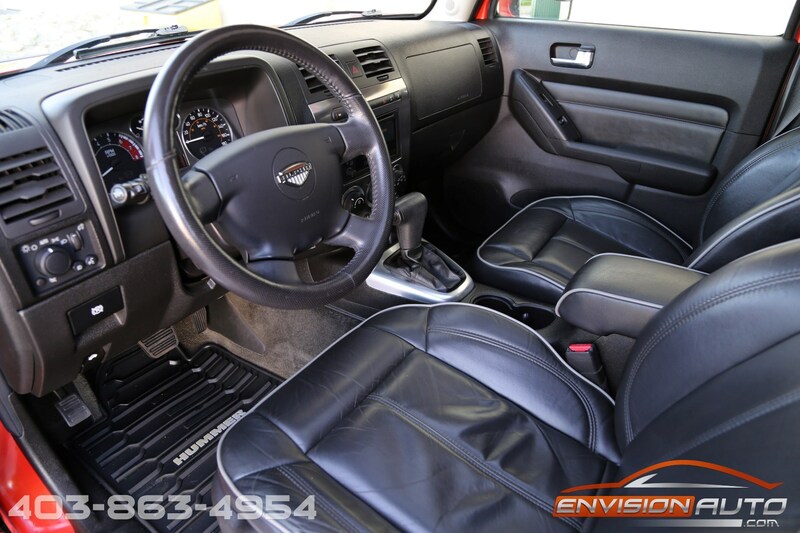 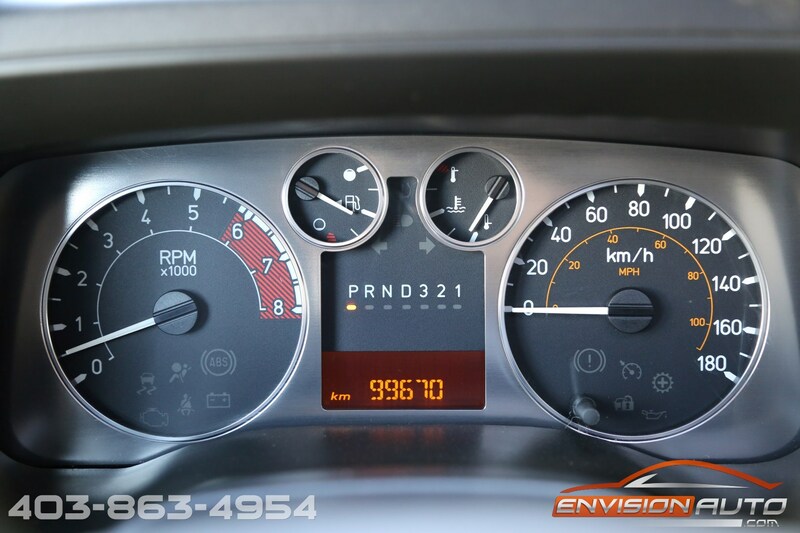 UNDER 100,000 KILOMETERS – TASTEFUL UPGRADES THROUGHOUT!! 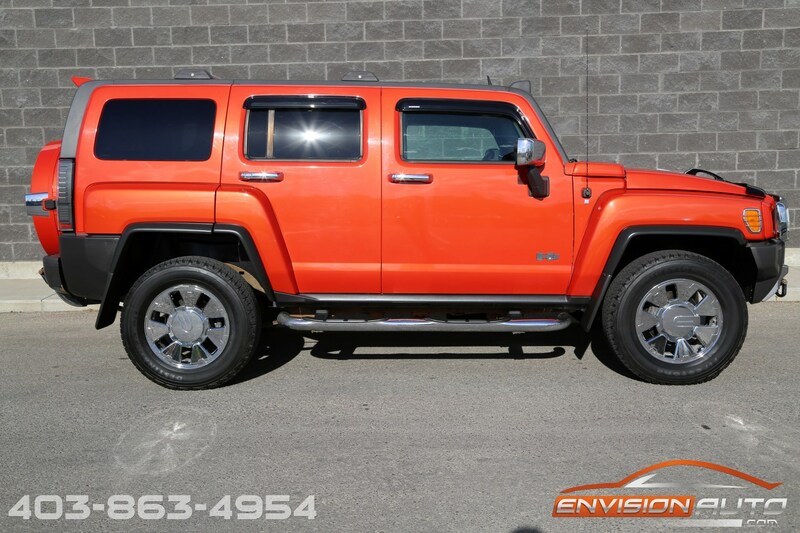 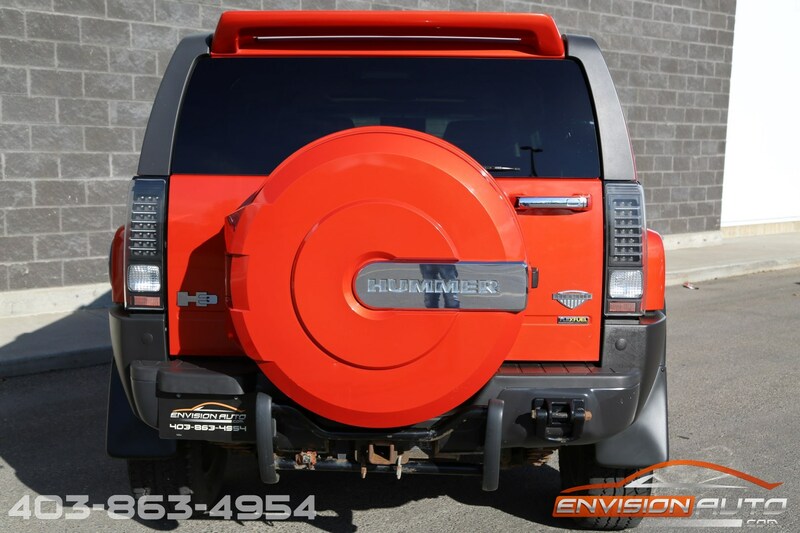 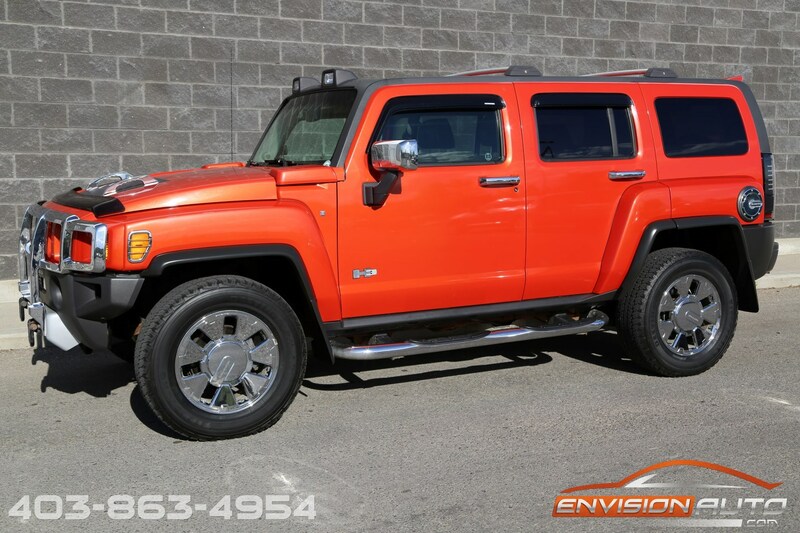 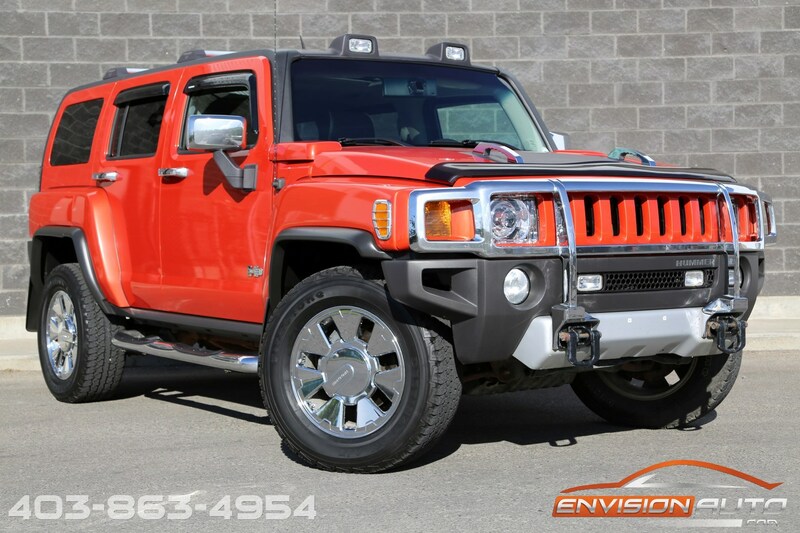 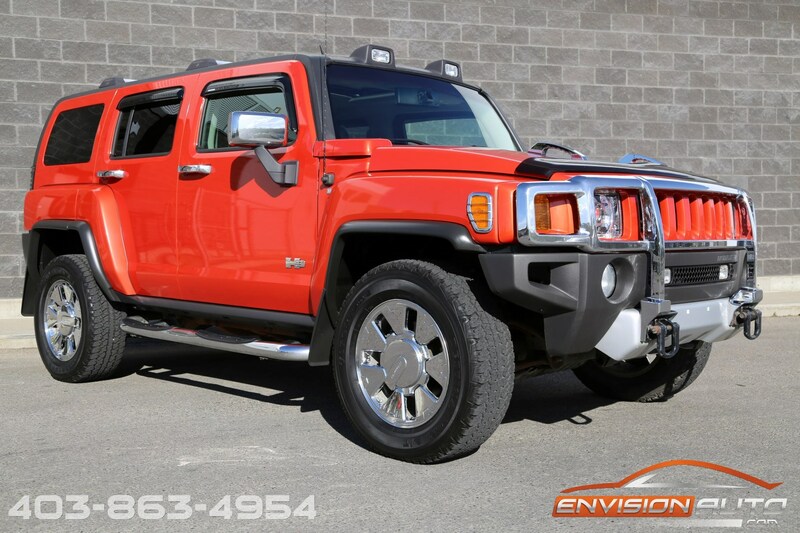 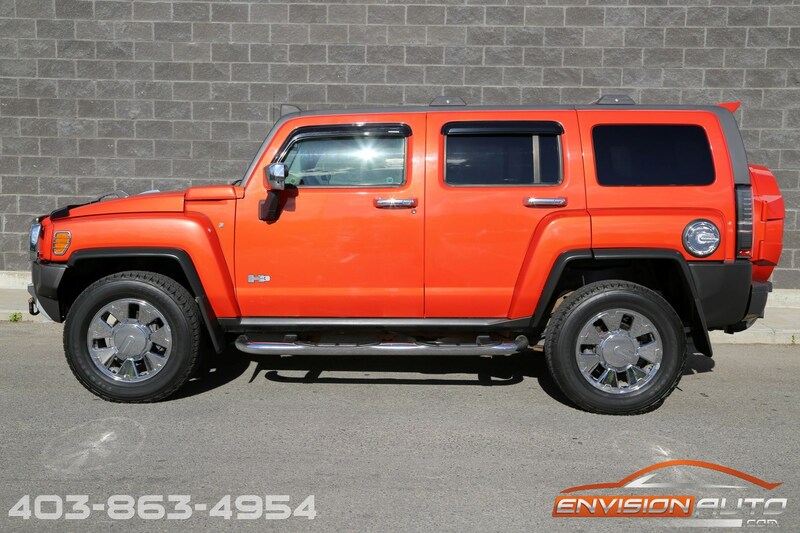 ALBERTA HUMMER SINCE NEW – SERVICE HISTORY SINCE NEW!UNDER 100,000 kilometers on this STUNNING solar flare metallic orange H3X ALPHA. 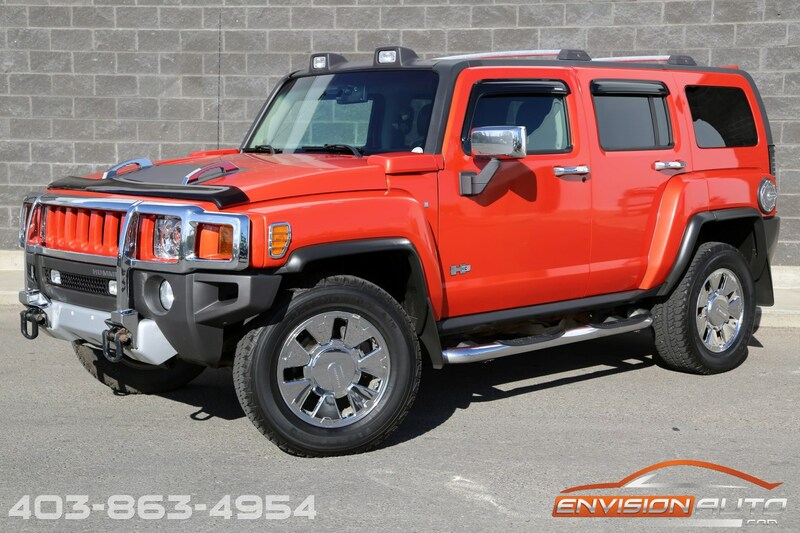 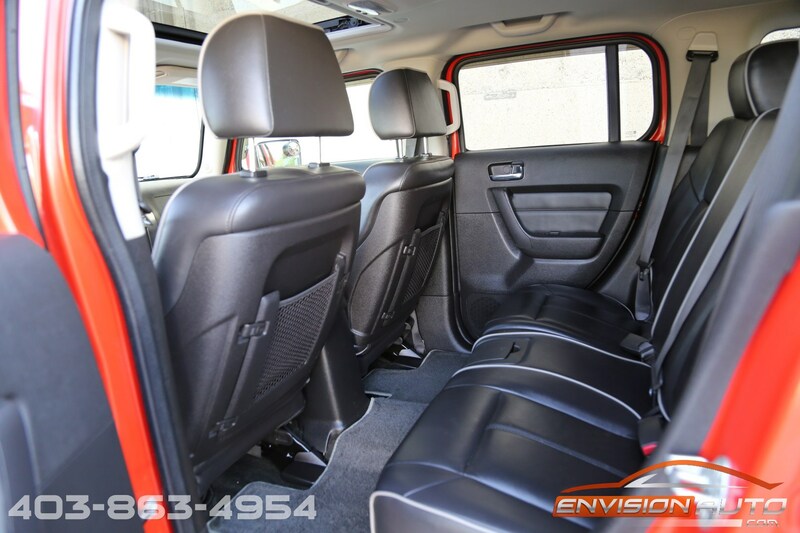 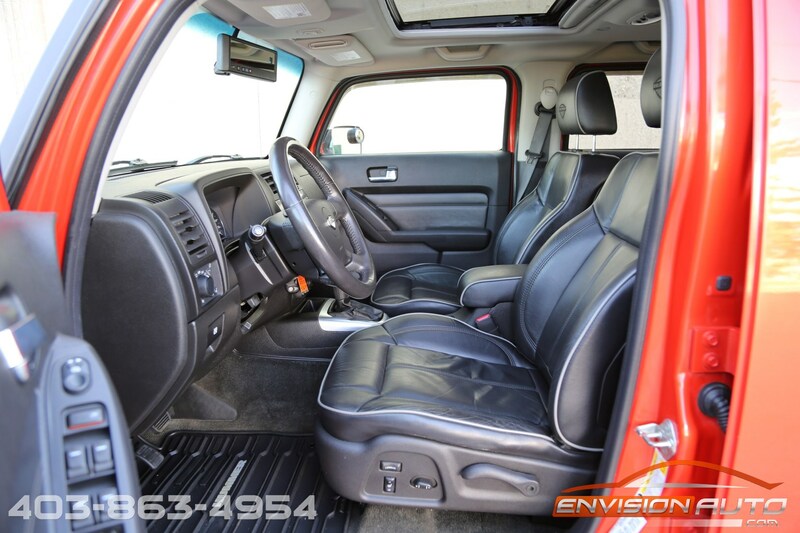 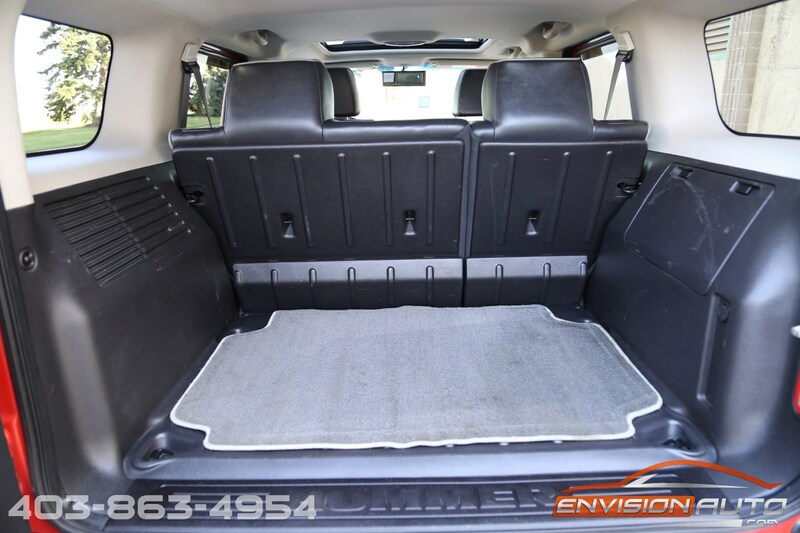 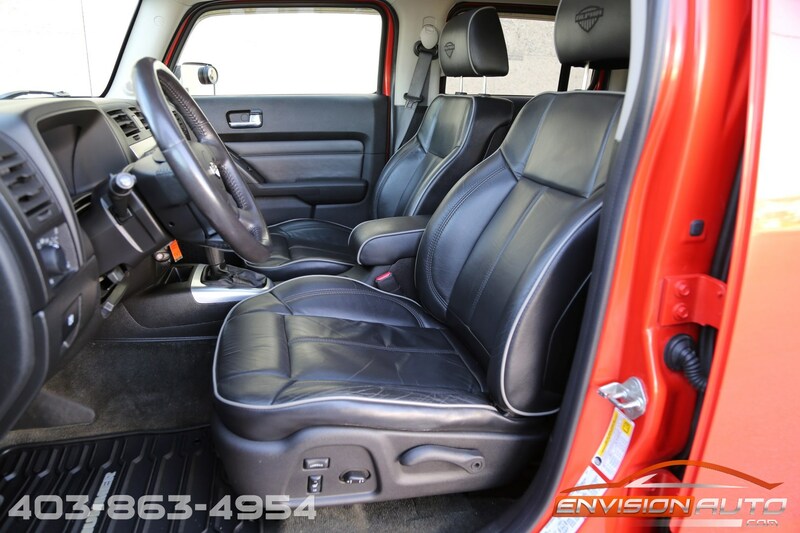 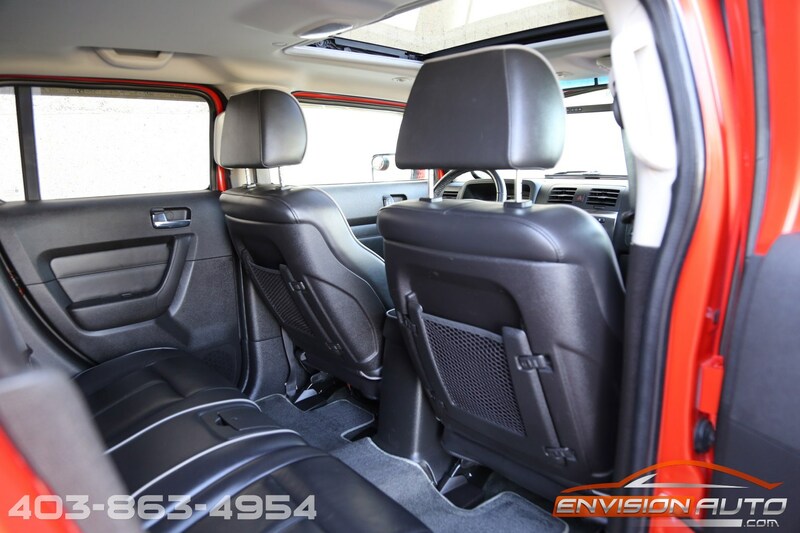 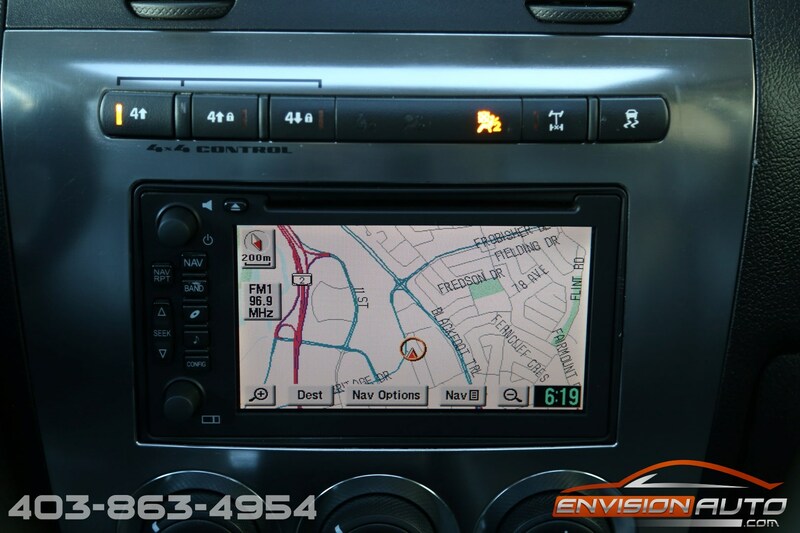 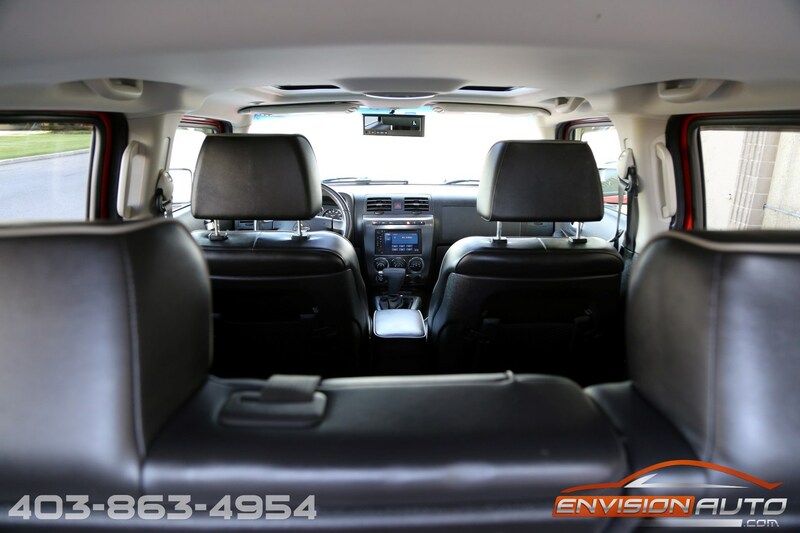 Absolutely loaded up from the factory with BOTH the Offroad Package – Locking Front and Rear Differentials AND Luxury Package – Heated Leather Seats – Power Moonroof – Reverse Camera – Factory Touchscreen Navigation. 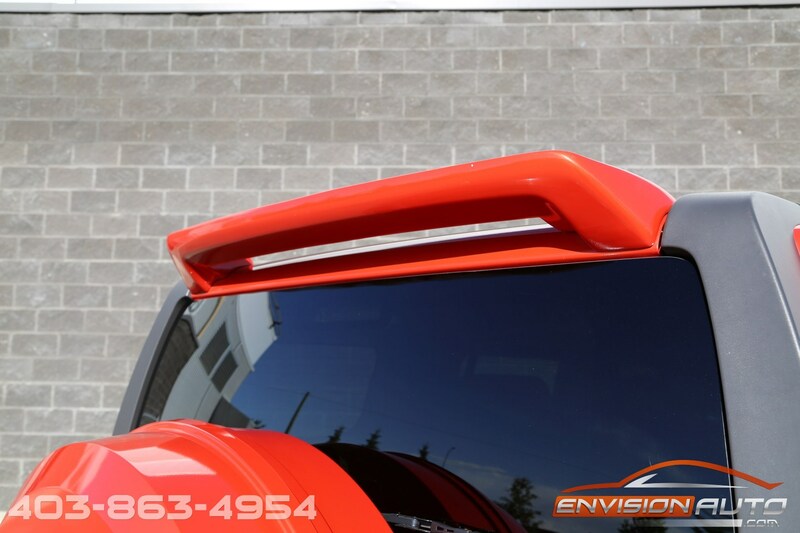 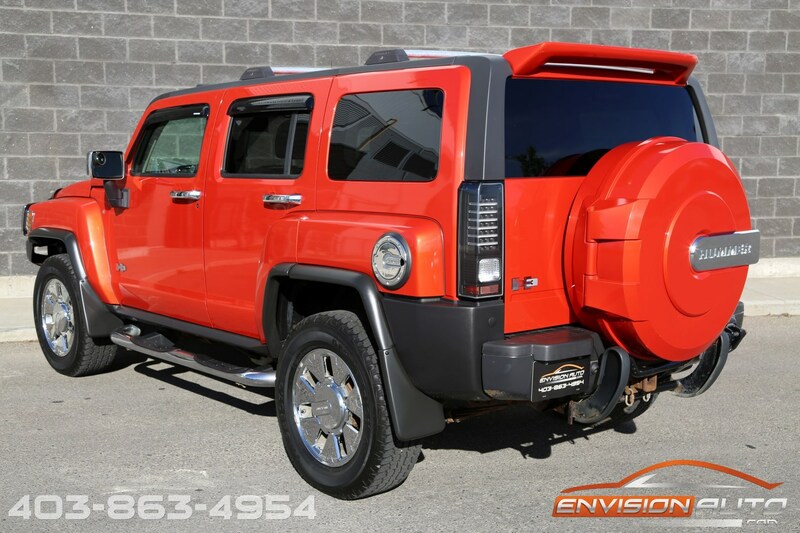 Tasteful aftermarket accessories including HID Headlights, factory roof mount offroad lights, offroad lower grille fog lights, LED Rear tail lights, and custom color matched rear spoiler all make this H3 have loads of eye appeal! 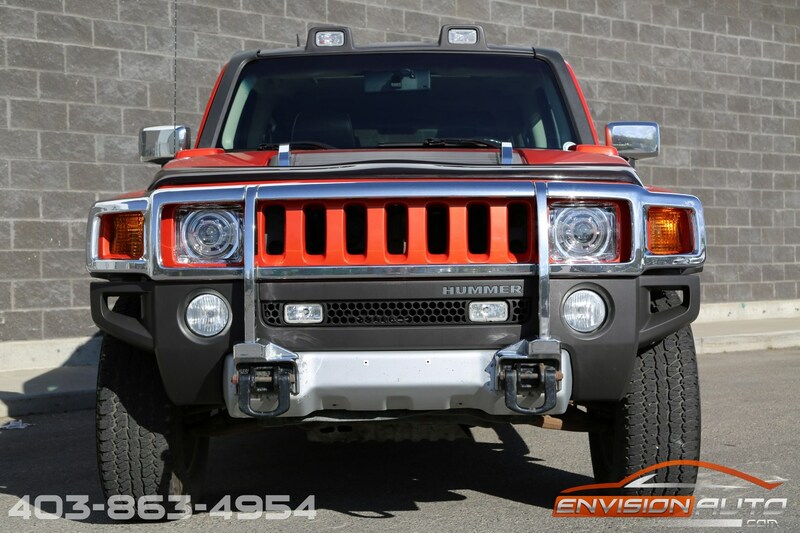 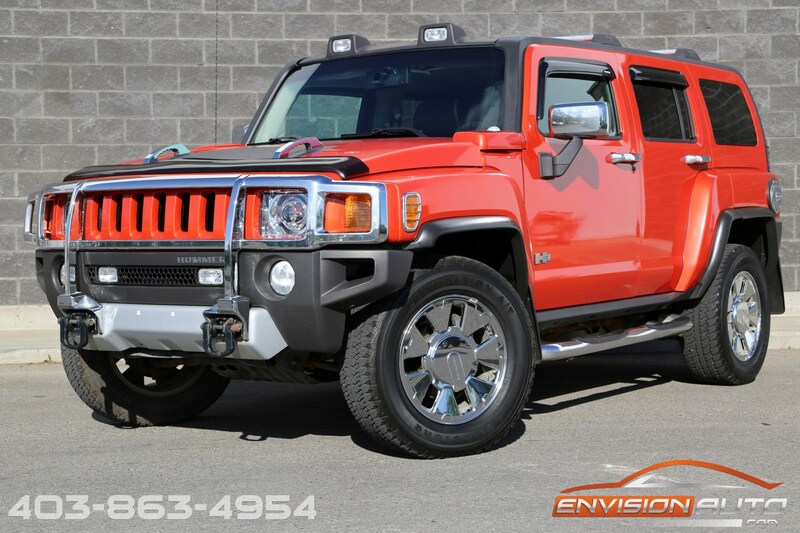 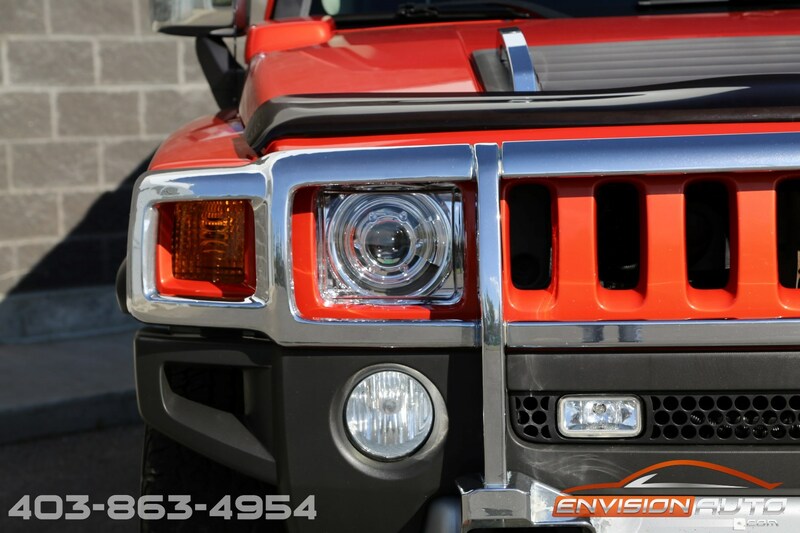 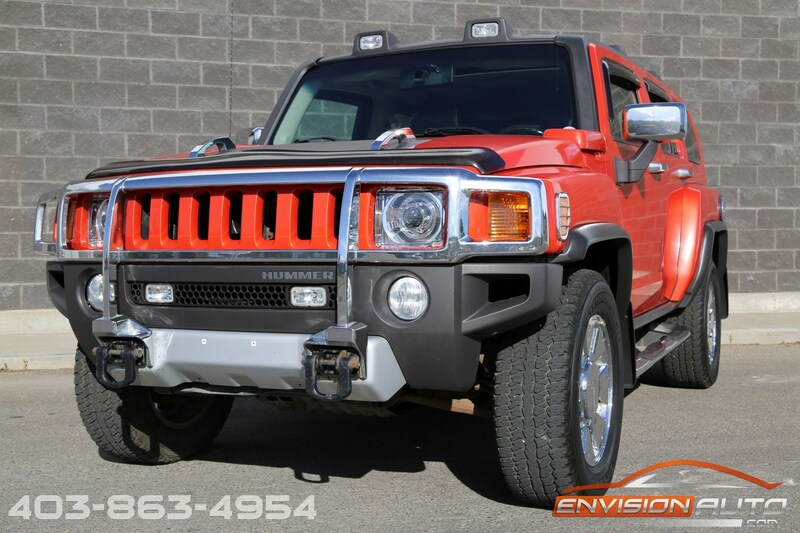 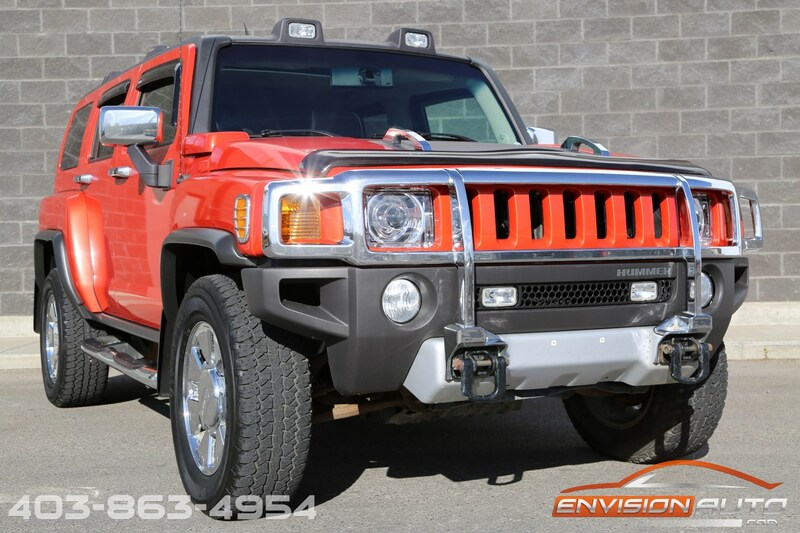 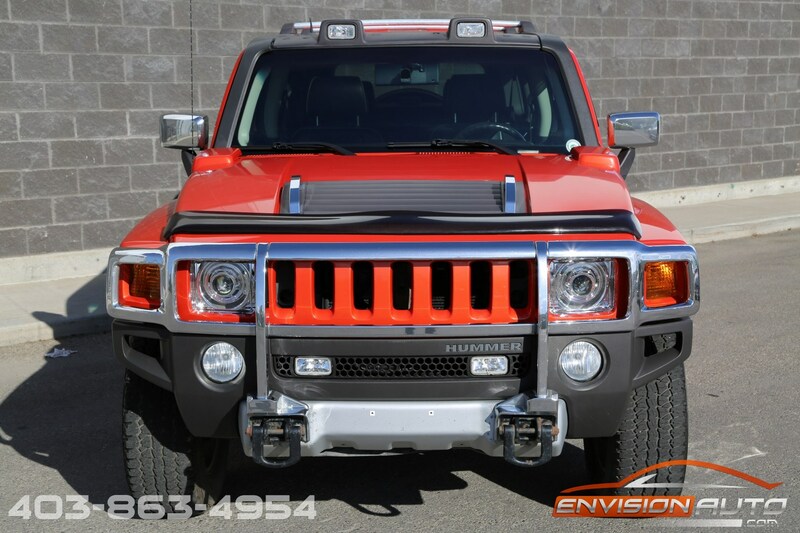 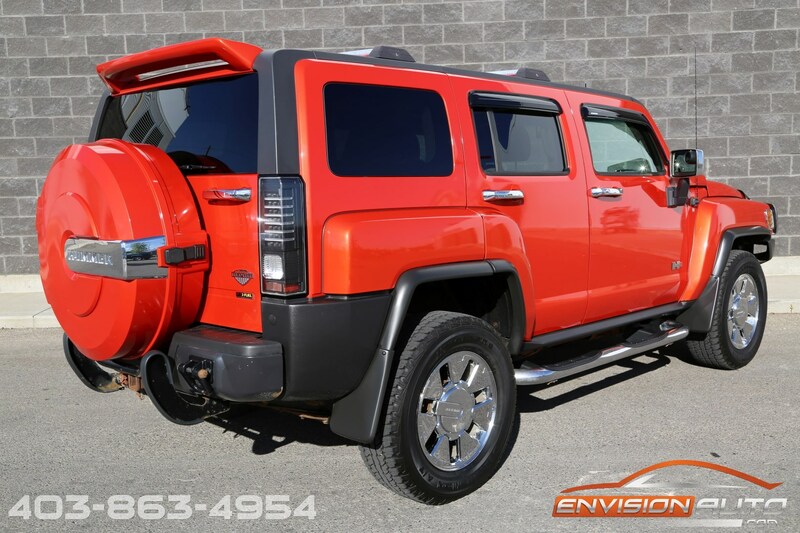 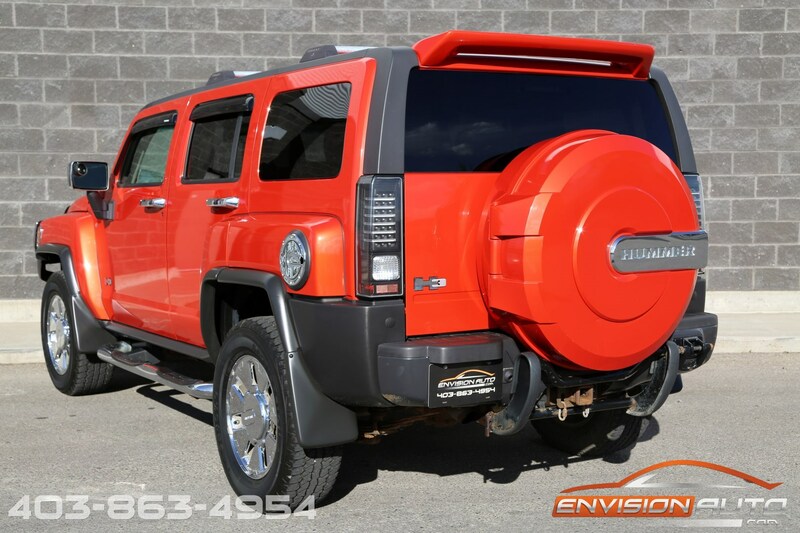 This is hands down one of the hottest H3 Alpha Hummers on the market today, and has a very impressive list of options and aftermarket accessories to go along with it. 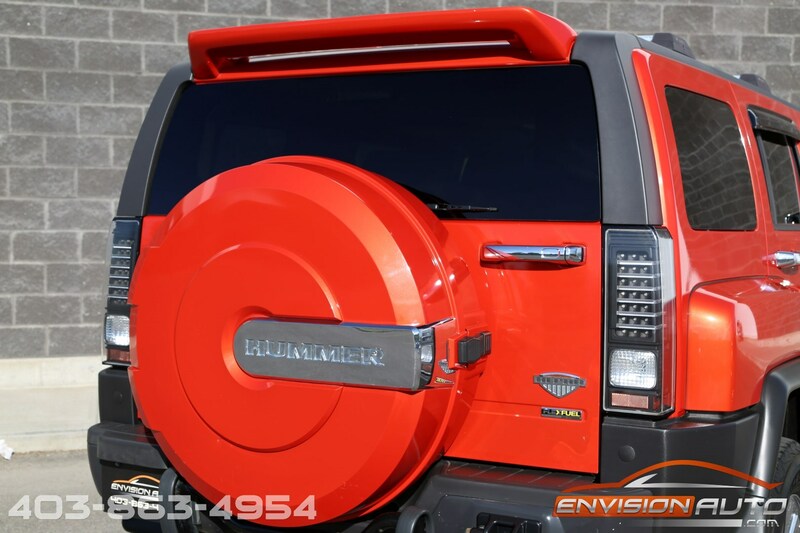 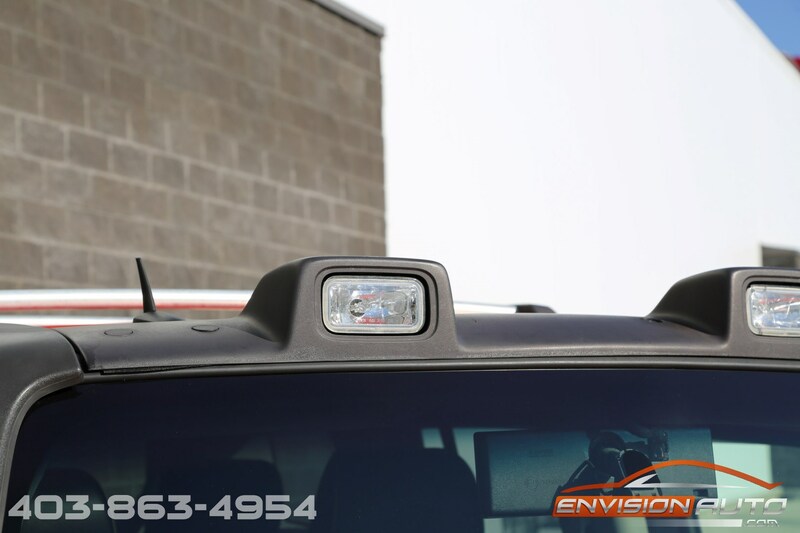 The H3X Uplevel Chrome Package features a custom color matched Rear Hard Cover Tire Carrier, Front Chrome Brush Guard, Painted to Match Front Grille, 18-inch chrome rims with unique center caps, and matching chrome fuel door. 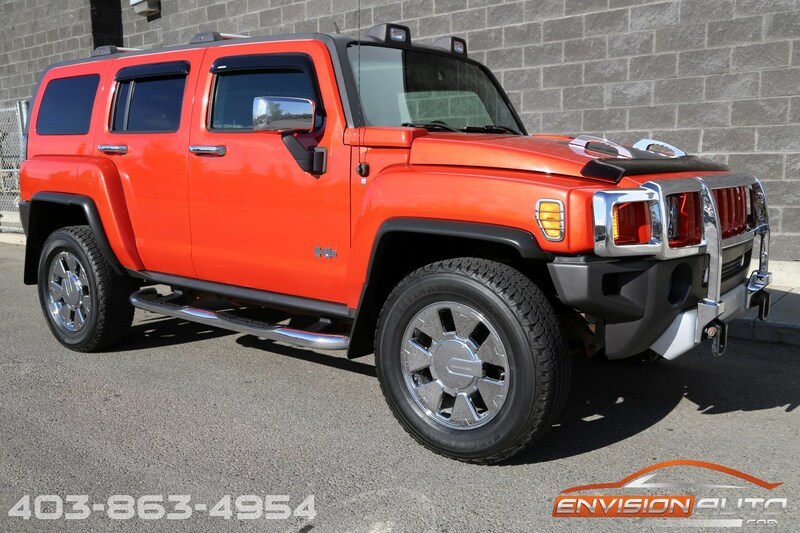 The H3 ALPHA Package features the highly acclaimed VORTEC V8 5.3L Engine with 300HP and 320ft.lb torque giving this truck a 6000lb trailering capacity with great highway passing power and city driving economy! 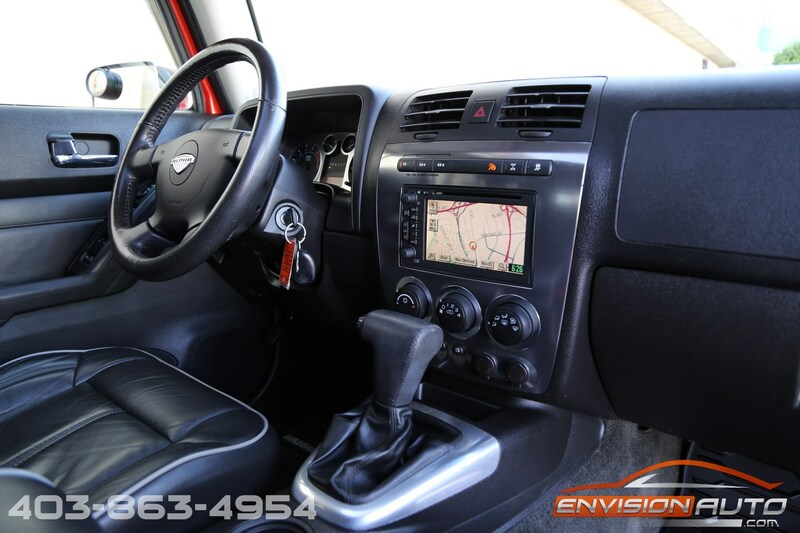 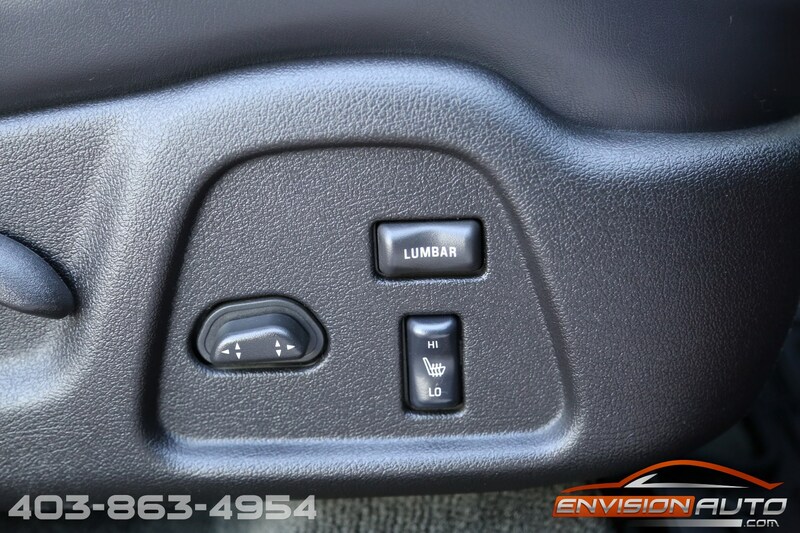 Factory options include navigation, integrated reverse camera in the rear view mirror, heated leather seats, and a power moonroof.